Customise your unique Samsung Galaxy S6 Edge case. Pick a photo or create a design for your hard case. Protect your mobile in style with a completely personalised full wrap case. A unique full wrap, personalised Samsung Galaxy S6 Edge case. 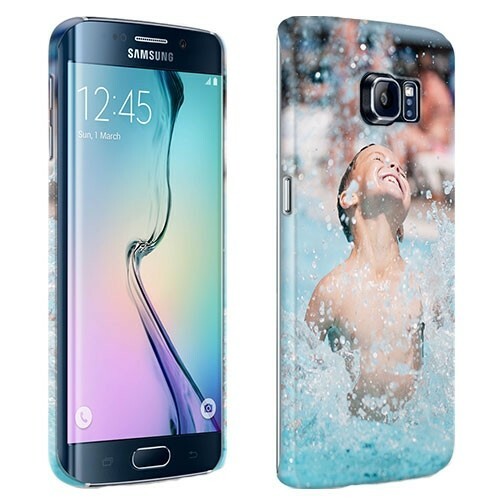 GoCustomized would like to introduce the Samsung Galaxy S6 Edge full wrap case. It has taken some time to get this case perfect. This mostly due to the odd shape the Samsung Galaxy S5 Edge has, but we did it. Your favourite images can now be printed on both the back and sides, or should I say side of the case. The case also offers a great level of protection for your device. No one likes finding new scratches and dents on their Galaxy S6 Edge. Its just to nice of a phone! Designing your case in 2 easy steps. First step: Upload one of your favourite images. You can design as many cases as you want and then decided which one to purchase by simply removing the rest from your shopping basket. Make sure the image is of the highest possible quality. The better the quality of the image used, the better the end result will be. Second step: Add a little personal text by using or text module. 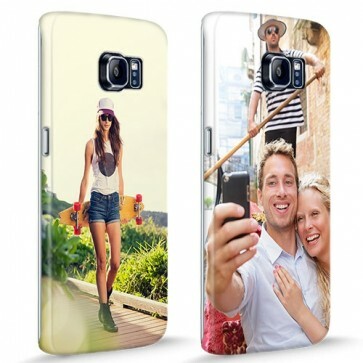 This is not a required step but does add something unique to a personalised Samsung Galaxy S6 Edge phone case. There are plenty of fonts and colours to choose from. How long until my S6 Edge is safe?